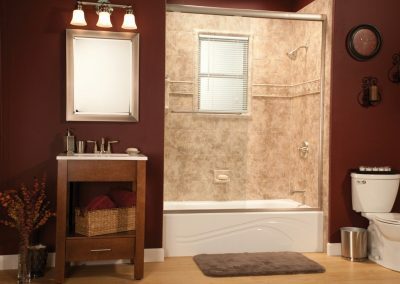 A Peterborough Bath Renovators wall surround can take an old bath from drab to spectacular in one day! 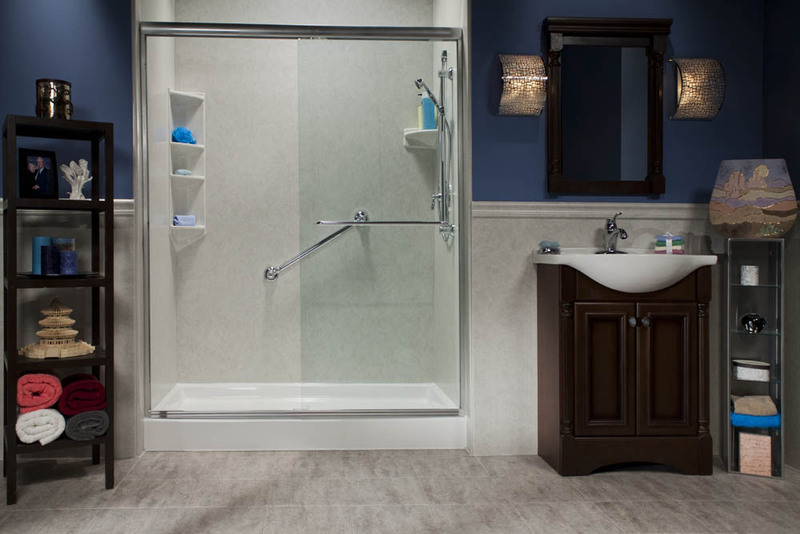 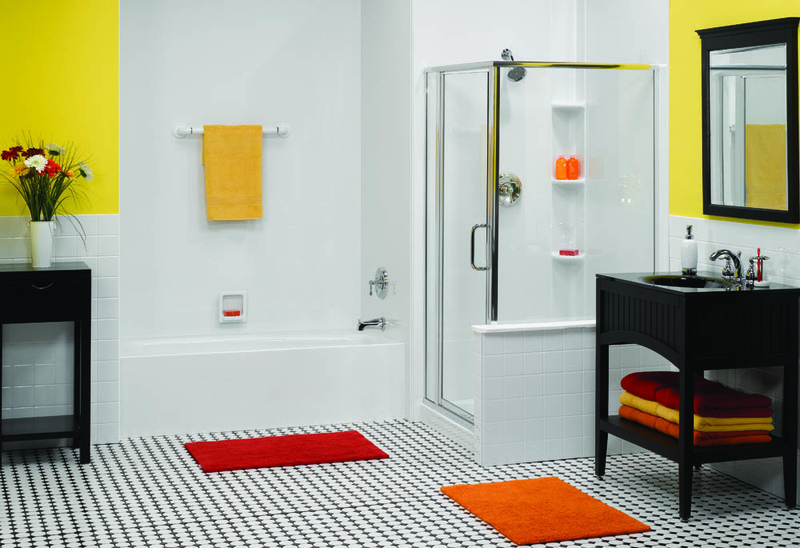 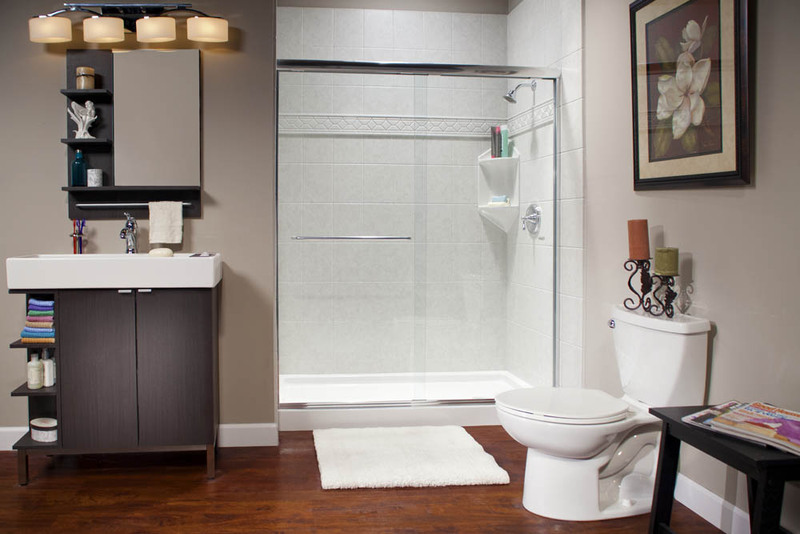 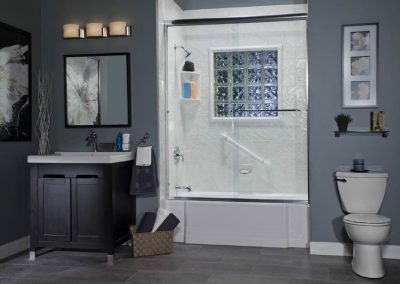 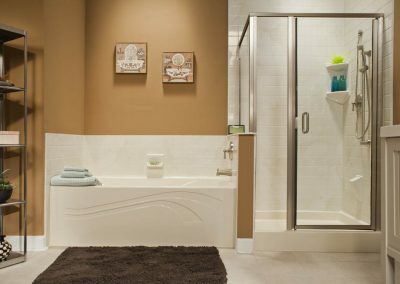 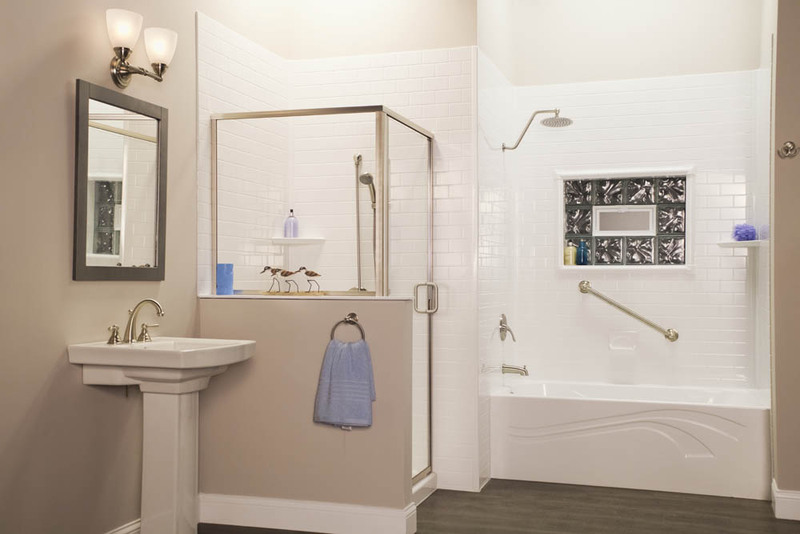 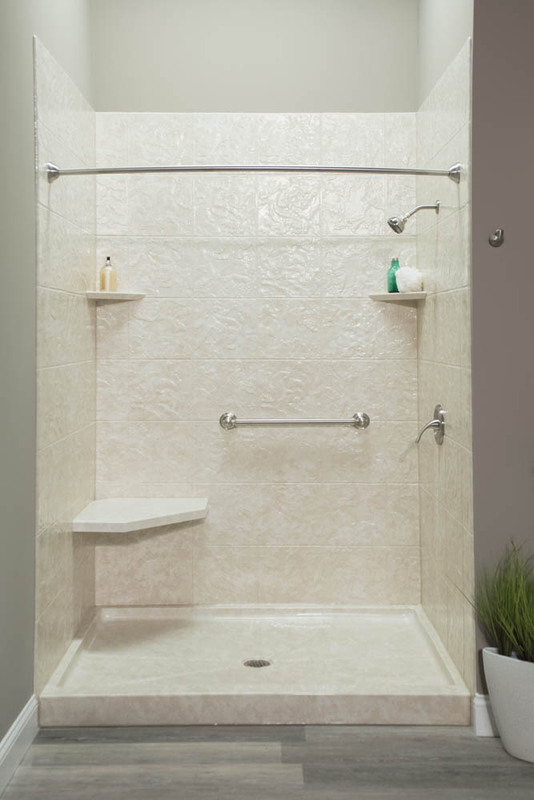 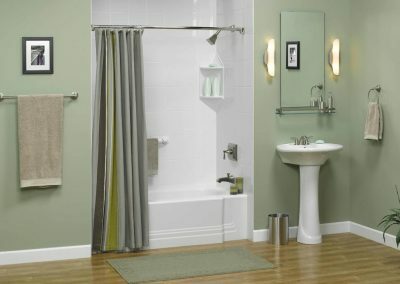 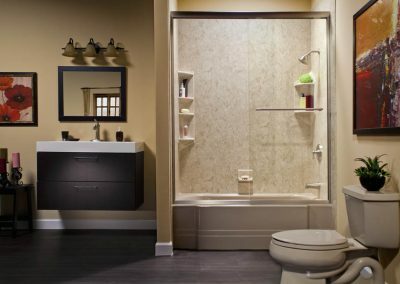 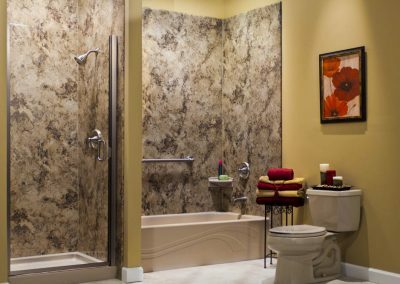 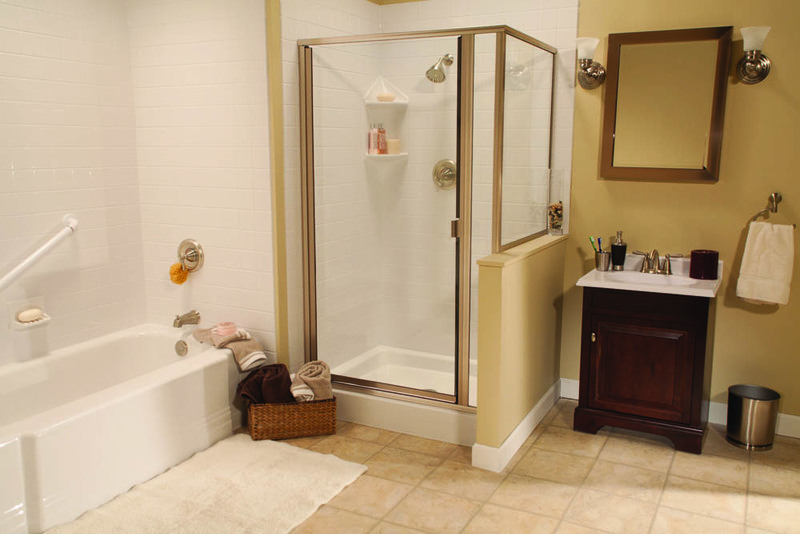 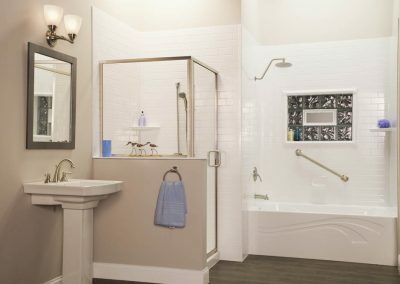 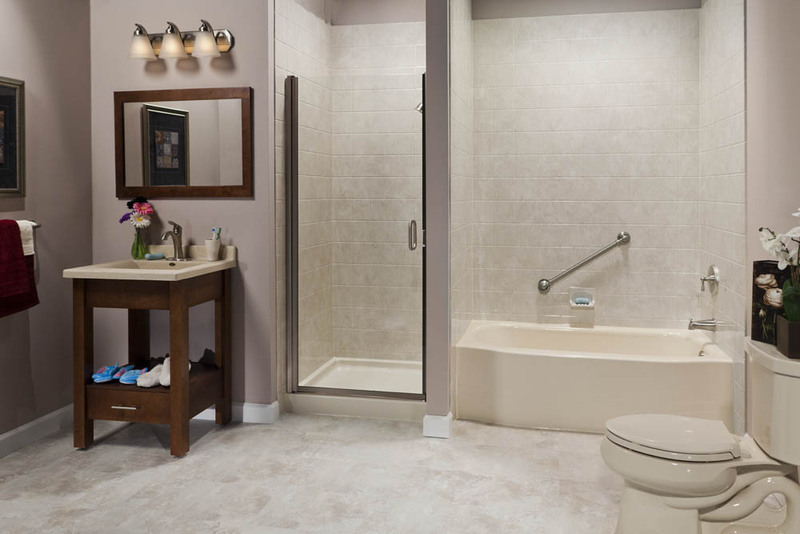 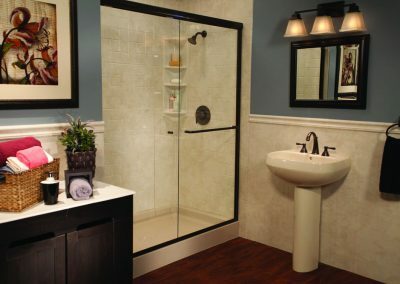 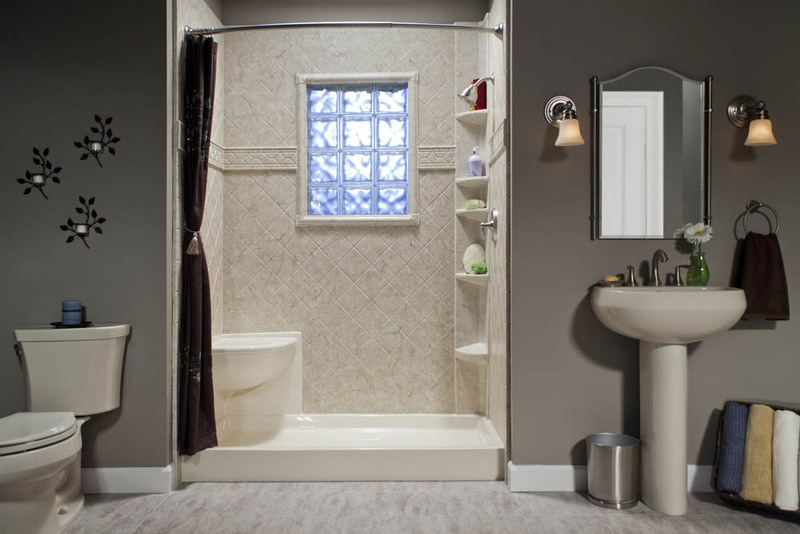 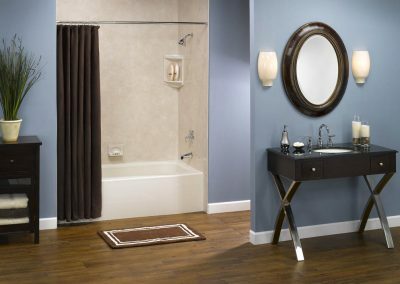 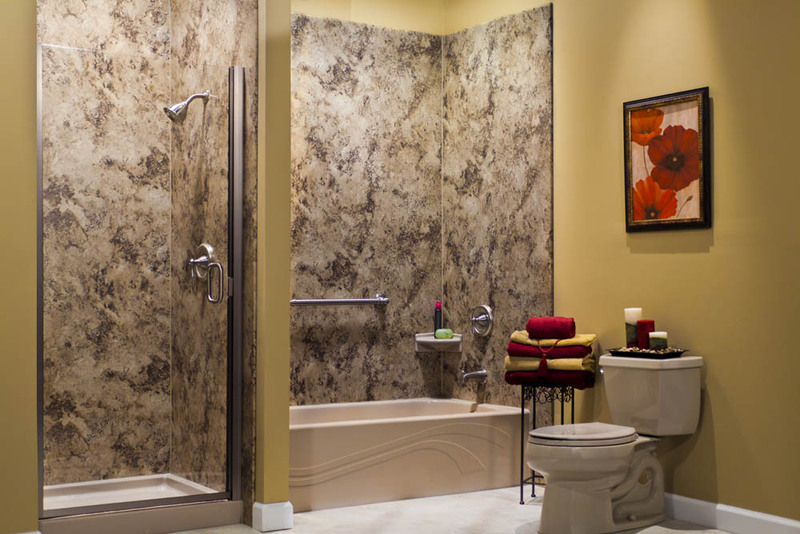 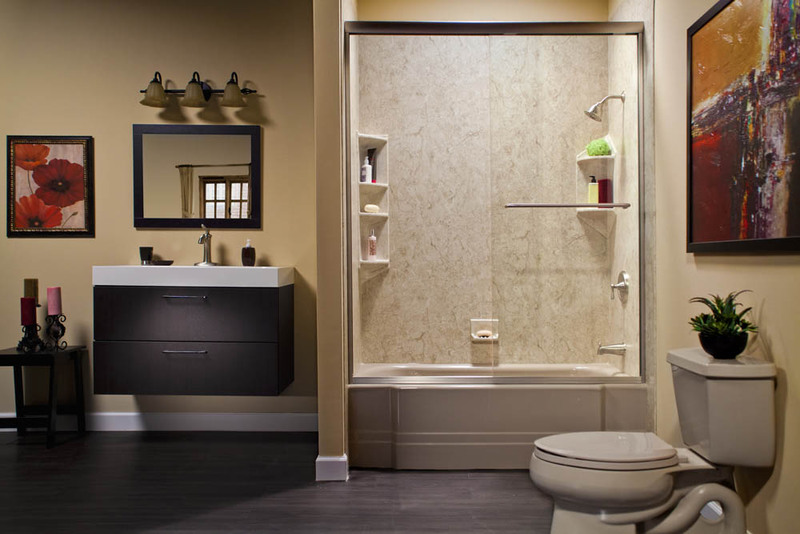 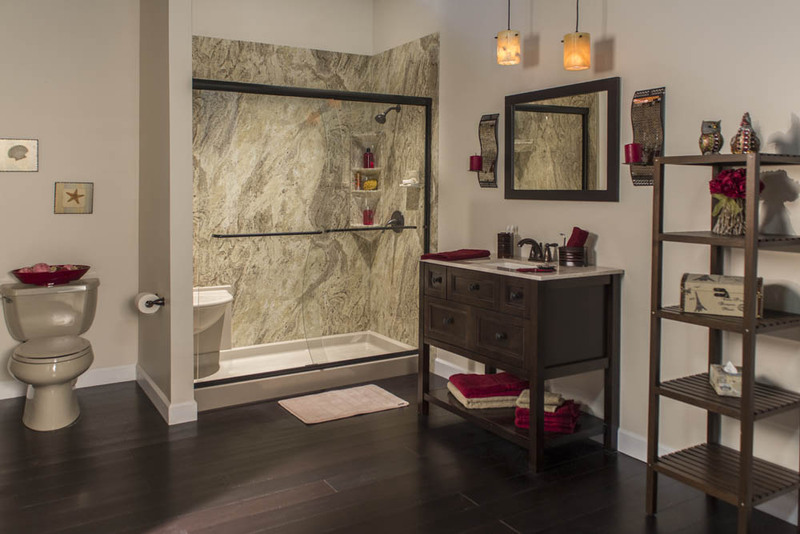 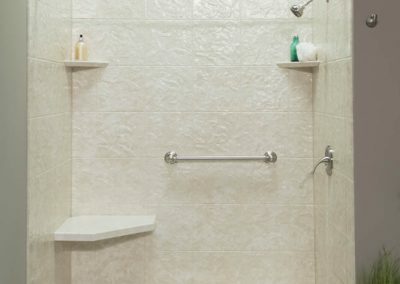 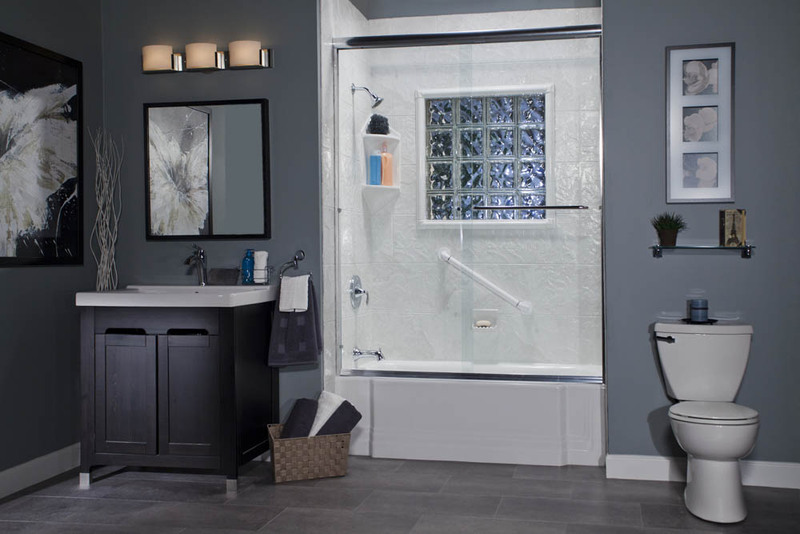 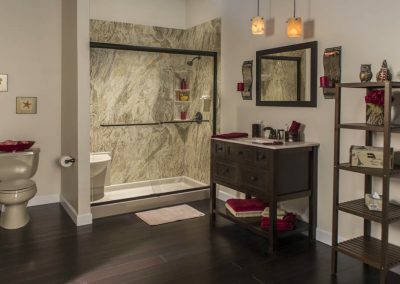 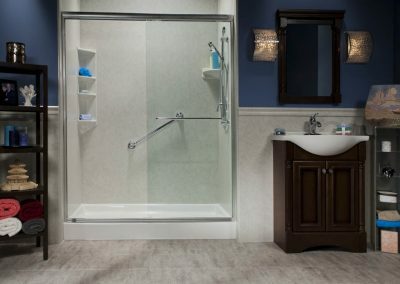 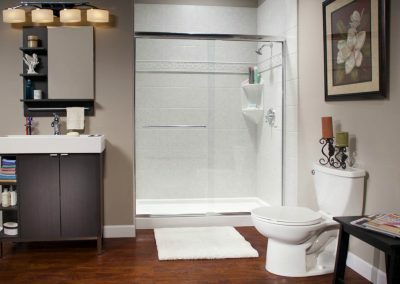 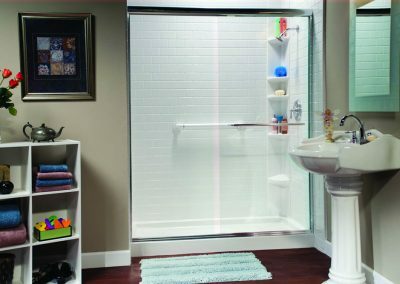 Each bath and shower wall surround is custom manufactured and installed over your existing wall, which guarantees a perfect fit. 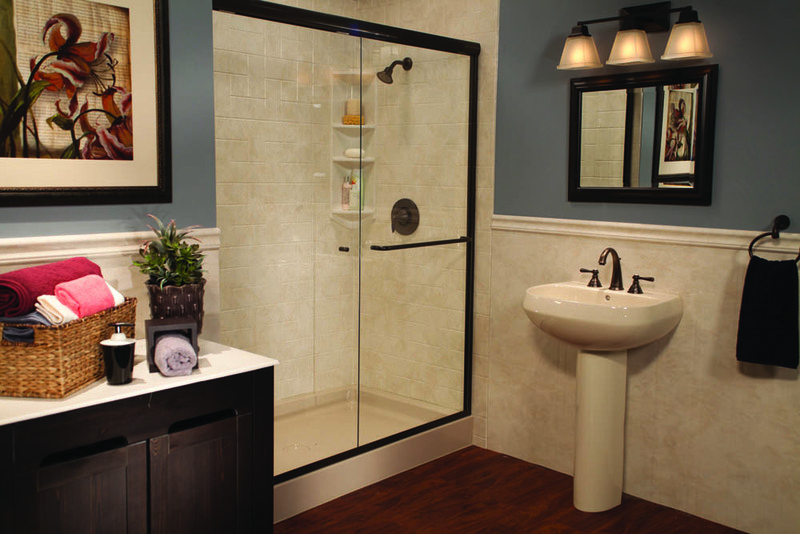 Don’t be fooled into choosing a “one size fits all” surround that is made from a thin material. 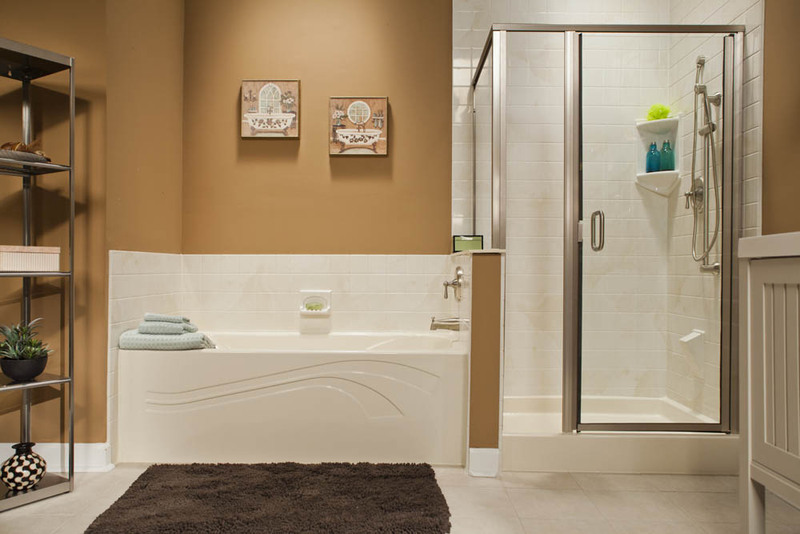 You can feel confident in the strong, durable, acrylic we use. 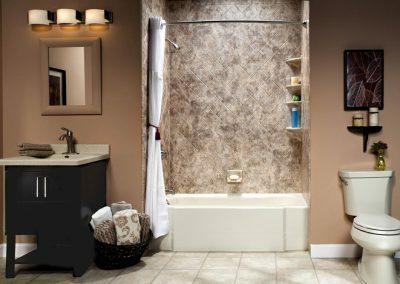 Our wall surrounds are non-porous which means they are easy to clean and naturally resist mold and mildew. 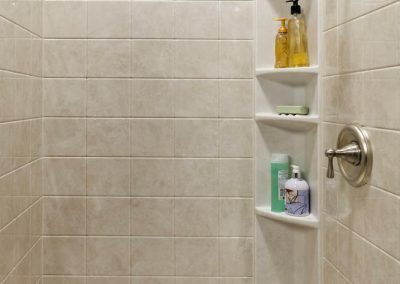 Plus, our “triple lock seal” installation technique makes it nearly impossible for water to get under the wall surround. 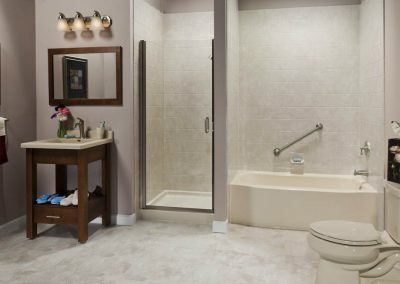 We seal the bath or shower using three different sealing techniques! 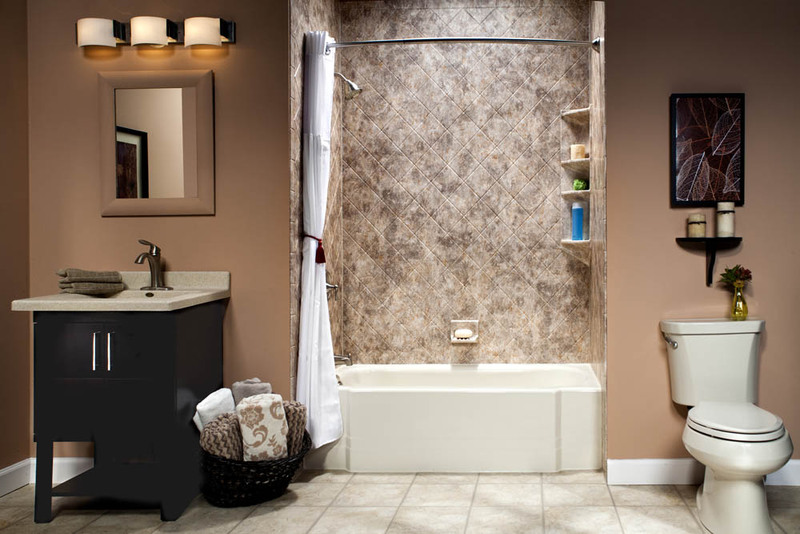 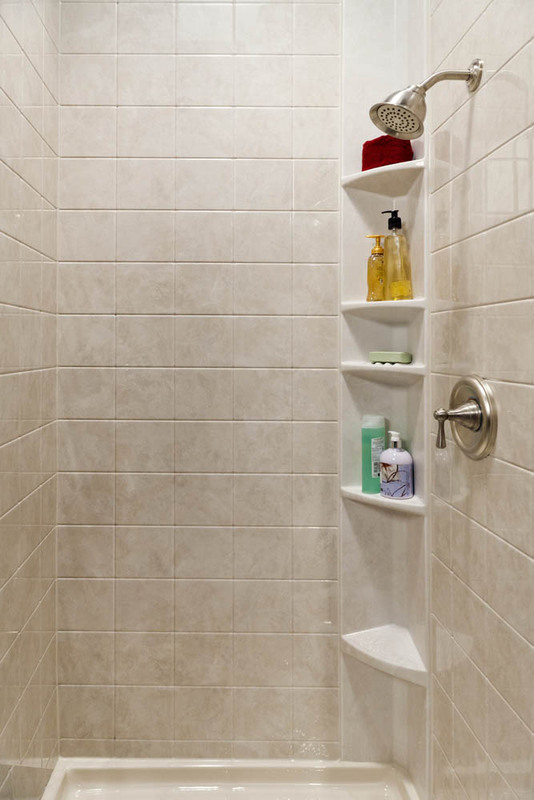 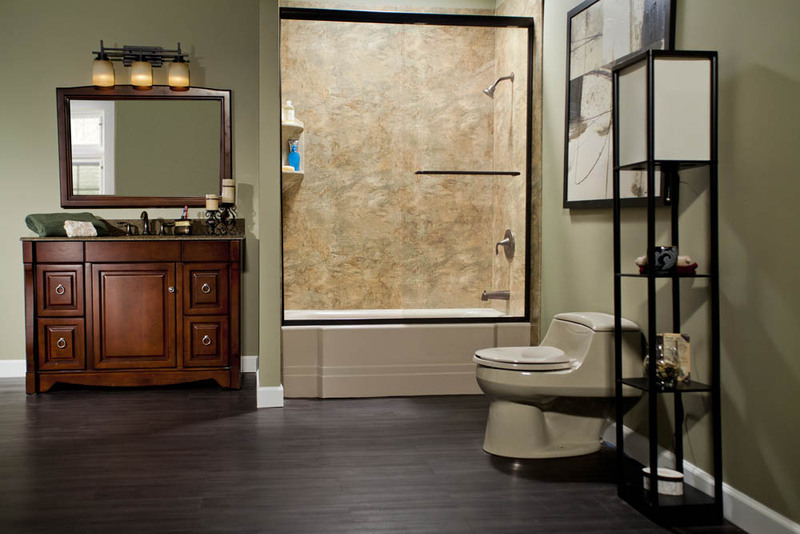 Peterborough Bath Renovators is happy to also offer premium ceramic wall surrounds. 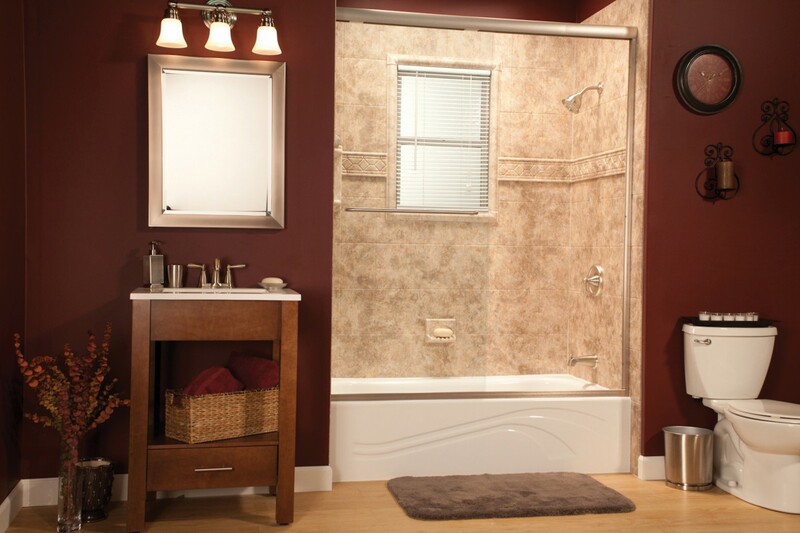 Gorgeous finish: Beautiful, high-gloss acrylic in a variety of colours and patterns to match your bathroom. 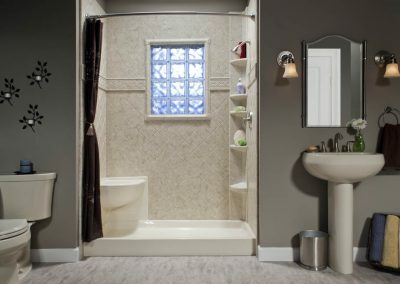 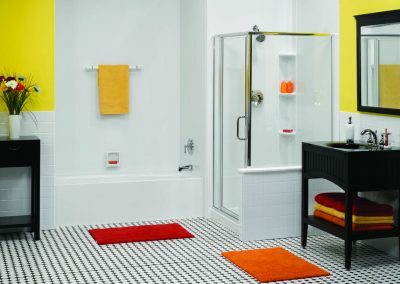 Finishing details: Complete your beautiful new bathroom look with window trim kits, wainscoting, and shelves, all available in a variety of colour options. 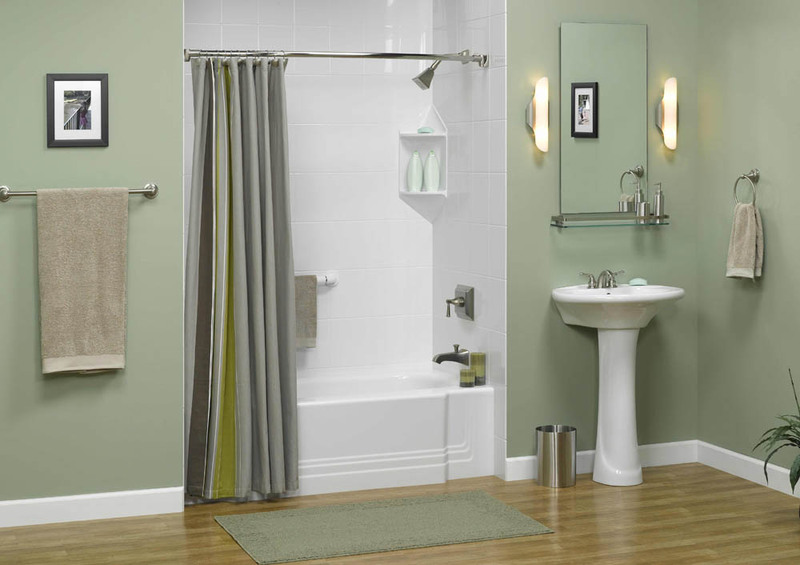 Our wall surrounds are available in many designer colours and styles. 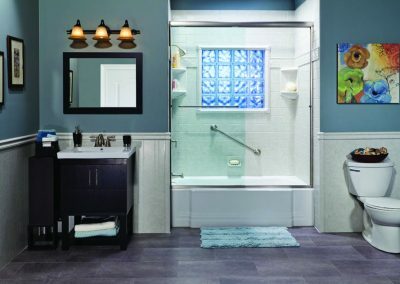 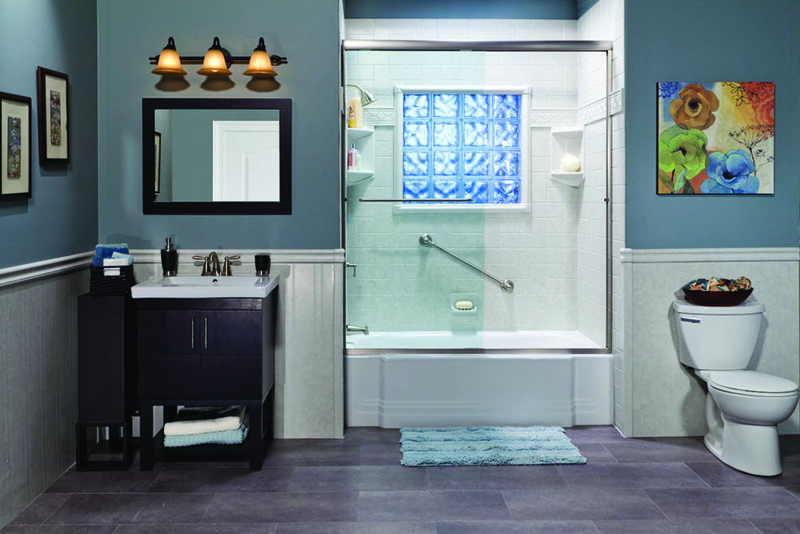 Our tile patterns are available in the following styles: 4x4, 6x6, 8x10, 12x12 Slate, Diamond, Subway, and Windmill patterns. 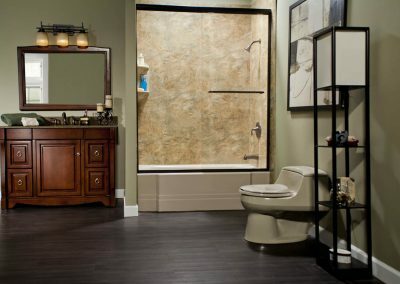 No matter what you choose, you can feel confident with our products!